President Roch Marc Christian Kaboré condemned the “cowardly terror attack”, saying the people of Burkina Faso would not give in to terrorism. There are fears that the latest attack is the work of one of the affiliates of al-Qaeda that are active in the Sahel region, the BBC’s Alex Duval Smith reports. 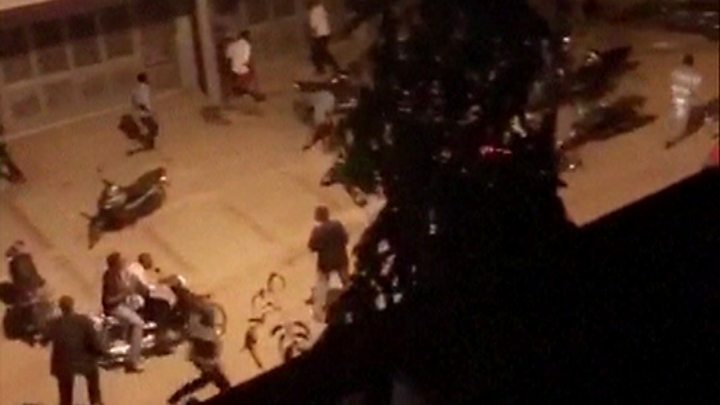 The shooting began shortly after 21:00 (21:00 GMT) at the cafe on Ouagadougou’s busy Kwame Nkrumah Avenue. One eyewitness told the BBC: “I saw there were multiple trucks or jeeps driving through my street, with… local army/police officers with AK47s, deploying in front of my house. 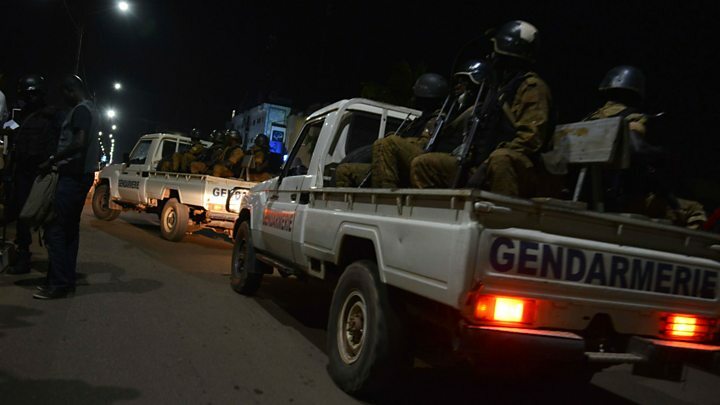 Residents of Burkina Faso’s capital had noticed more police road blocks in the past few days. In neighbouring central Mali, the UN mission, Minusma, had requested that staff and contractors avoid using rural roads. For nearly two years now northern Mali’s terrorist challenge has grown into a regional problem, with attacks by al-Qaeda affiliates in Burkina Faso, Niger and Ivory Coast. Even though the Ouagadougou attack was not prevented, the fact that Mali and Burkina Faso were on alert suggests Minusma’s intelligence-gathering operation is bearing fruit. French President Emmanuel Macron condemned the attack and said he would hold talks with his Burkinabe counterpart, Roch Marc Kabore, to “evaluate the situation”.